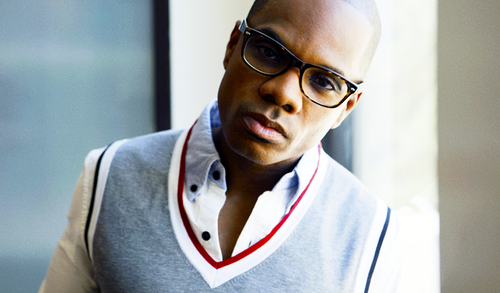 The Gospel Guru caught up with gospel giant Kirk Franklin. Being no stranger to any of us; Kirk made his debut in the early 90’s and the rest, as they say, is history. Without further delay get into our candid interview with the 9-time Grammy Award-winner below where we discuss his involvement with The American Bible Challenge, upcoming season of BET’s Sunday Best, and more… TGG: The premiere of the newest season of The American Bible Challenge is upon us, what can we expect from you as musical co-host this season? Kirk: Awe man, just me still doing the fool–just really trying to keep it fun and entertaining. That’s something that I hope the people can see me continue to do… so hopefully i’m doing a good at doing that. TGG: We know this is your 2nd season with being apart of Bible Challenge, but tell us how did this all come about for you? Kirk: Well, they reached out to me and asked me if I wanted to be apart of it and at first I said no because I didn’t know what I could add to it. But they were very diligent about it and that impressed me… It was an honor for someone to want you to be apart of something like that so bad. They even me my ideas…they wanted to know if I thought that i could really do some different things with it to make it more creative and cool and so I said sure. So we kinda talked about it and worked it out and they were just all for it…so that felt really good. The shows been the #1 show on the network and what’s cool is that it’s no a christian network. So that’s pretty cool. TGG: As believers, how important do you feel it is for us to have faith-based entertainment such as Bible challenge, and so many of the others? Kirk: I think that it’s very important, but at the same time I think it’s also important to try and continue to push the bar so that the entertainment aspect of it can still reach people that are not believers. It’s great to have stuff for us, but we want to make sure it’s also stuff for people that don’t know. We have to make sure that our production content is very up and very strong. TGG: Aside from co-hosting The American Bible Challenge, we know that you have other roles such as being a record executive, hosting BET”s Sunday Best, being an artist…etc. How do you juggle it all? Kirk: I don’t know… I really don’t know man. But i’m just trying my best to do it–I just wanna make God proud, make my community proud, just wanna make my family proud… So i’m gonna try and keep juggling it al. It’s by God’s grace, that’s all I can tell you because I’m not that good…lol. TGG: Season 7 of BET’s Sunday Best is coming up, what can we expect this season? Kirk: It’s just getting crazier and crazier man! Like last night they had to cut them off because they were dancing and shouting so hard, it’s like every season it’s crazy. So tune in… Sunday Best comes on in July and it’s gonna be incredible. TGG: What can we expect as far as the judges, it was announced not too log ago that Kierra Sheard was the newest addition? Kirk: She’s killin’ it! She’s doing a phenomenal job, i’m tellin’ ya man… I’m so proud of Kierra! She was the best choice! 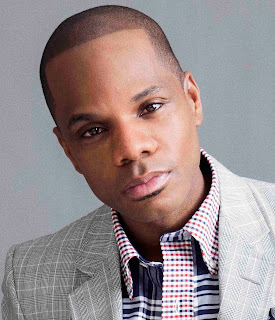 TGG: In conclusion, how does Kirk Franklin define or determine success? Kirk: Just the peace of God, when I’m resting in the peace and confidence of God. It’s hard to explain — but when you have it and when you’re there it’s the most joyful thing in the world.